Join in the fun at Bunbury Centre Point Shopping Centre from 17th to 20th April. 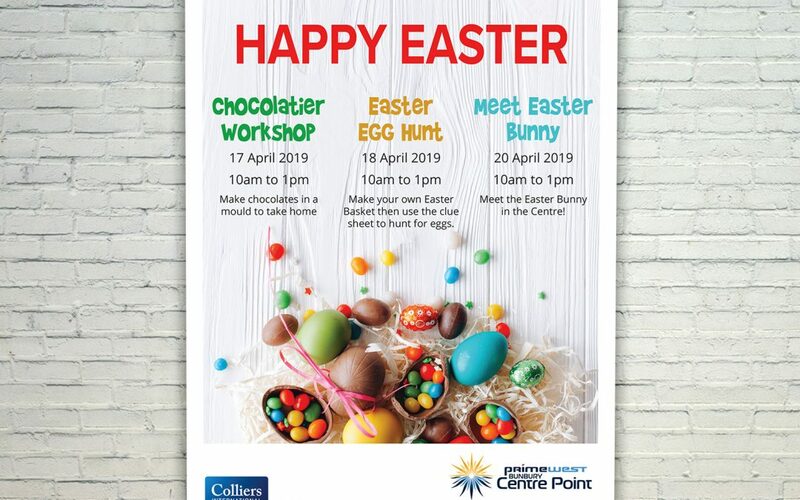 Chocolatier Workshop, Easter Egg Hunt & Meet the Easter Bunny. Like their Facebook page to find out more.